What is your vision for public transportation in Michigan? We asked this question to Michigan residents from across the state, collecting submissions from individuals with diverse backgrounds and experiences with public transportation. Walkable communities, better bike lanes, interconnected modes of transportation, and accessibility were common threads. Several individuals expressed frustration with our current system, especially our dependence on personal vehicles. Time lost stuck in traffic and the costs of operating and maintaining personal vehicles had many advocating for other modes of transportation for getting to work, school, and running errands. Others called for expanded public transit service to increase mobility and independence. The takeaway? Michigan residents want better public transportation. How do we reach this vision? Trans4M members testified on public transit funding in front of lawmakers earlier this week. Clark Harder, Executive Director of the Michigan Public Transit Association (MPTA) and Jennifer Kalczuk, President of MPTA and Manager of Communications and External Relations for The Rapid in Grand Rapids, provided an overview of public transit funding and called for a long-term funding solution. Kalczuk noted that buses are just as susceptible to damage from potholes and poor road conditions, and maintenance costs for buses are rapidly increasing with this spring’s pavement breakup. Clark Harder of the Michigan Public Transit Association testifies on the state of public transit in Michigan. 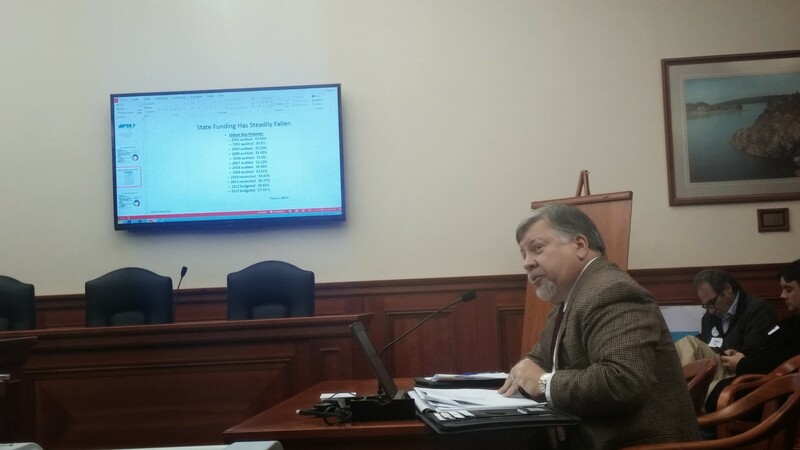 Trans4M Fellow Jeff Prygoski, testifying on behalf of the Michigan Environmental Council, asked lawmakers to consider providing for a first-class transportation system as long-term funding discussions move forward. Michigander’s interest in public transit is growing quickly, especially for passenger rail, and we need investments commensurate to public demand.